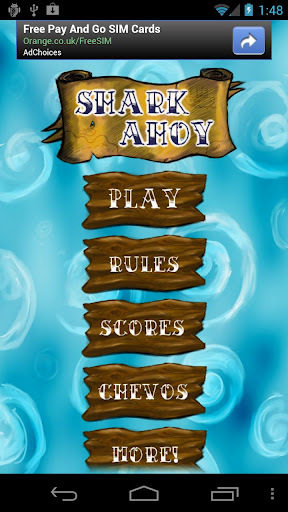 Shark Ahoy is developer Thomas Hopper's latest game to splash onto the Android platform! In Shark Ahoy, the goal is simple, munch as much as possible as fast as possible. What could be more fun than controlling a giant shark with your Android device and devouring small, cute critters. That's just what sharks do, right? Tilt your Android device to eat as many as possible before you're blown up by the navy! 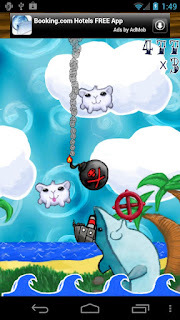 Avoid tricks and traps to build your combo and get the highest shark score ever. After racking up a huge score, submit it to the global leaderboards and compete with friends. Don't forget to check out all of the the shark achievements (powered by Swarm)! 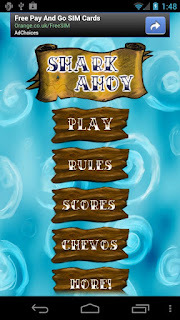 Omnomnomnomnom, download Shark Ahoy and get munchin'. You'll be glad you did.